Challenge for today is... draw a face! Except I would like for you to try to do it in a specific way, just for a little experiment. All I would like for you to do (if this isn't already the way you do it) is to try to lay out the cheekbones before the eyes. This sounds counter-intuitive to how most people draw faces - I notice a lot of people start with the eyes but I think it leads to confusion on where the eyes should be placed within the face. 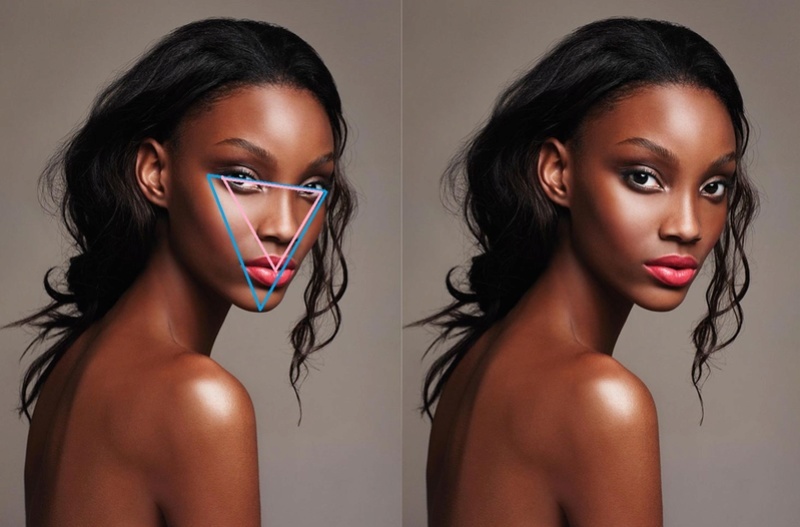 Then, try to use the cheekbones as a guide to place the shadows. Use a reference photo if you can! Or you can use your own face or a friends, it's up to you. It will definitely be easier to locate the "3D" aspects of a face in person but I use photos all the time because I enjoy being alone when I draw, lol. Notice in the bottom right corner how he utilizes the triangle. 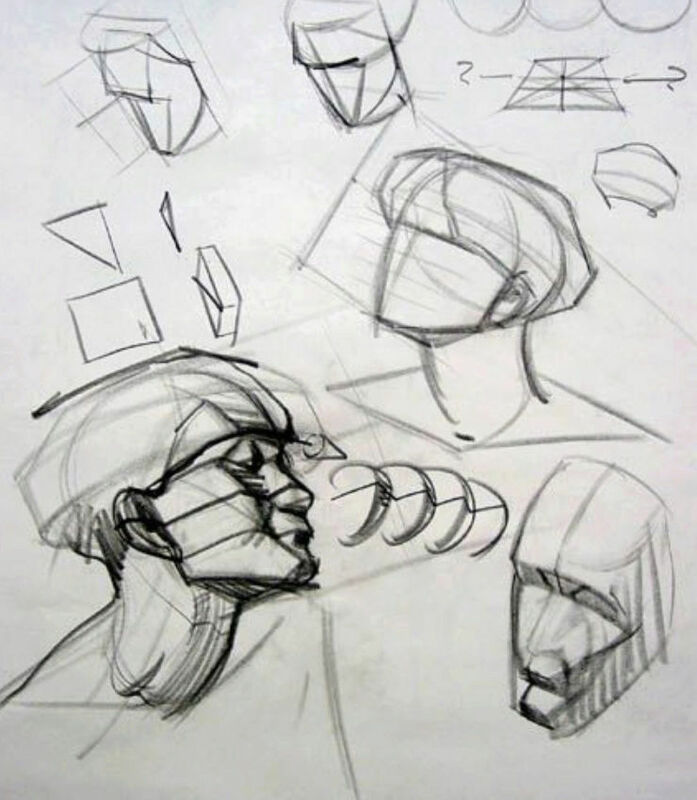 In face, the planes of the face sort of work like "steps" - out at the brow, dipping in for the eyes, the triangle that represents the checkbones/where the features sit angle outward and the lips dip in, and so forth. If this is hard to get right in the beginning, it may benefit you to draw some skulls first. 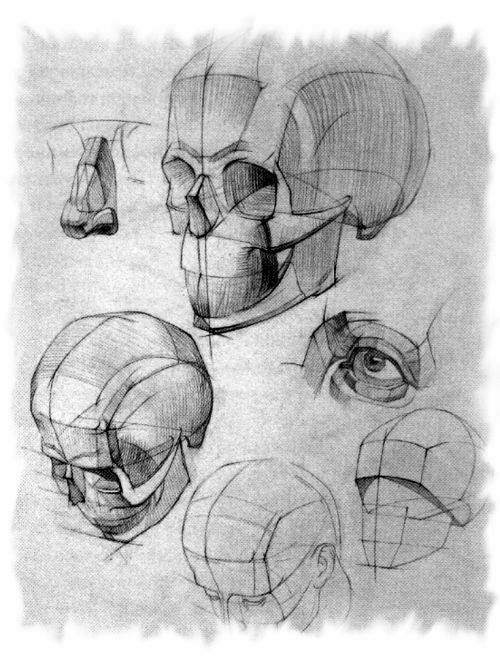 If you have an anatomically correct "fake" (or real, I guess... don't know where you'd find one...) skull you can practice from as a still life, this will help you immensely with faces. Ok everyone, have fun! And don't forget 1.) you're totally allowed and encouraged to finish previous challenges if you want to, and 2.) you can put anything from these challenges in your sketchbook. Actually, it's encouraged, as it's a great way to track your progress! Remember you can add anything to your sketchbook by just making a new post, you don't have to edit the old posts and add them or anything. Just keep adding on more art! Hey, I made some examples to give you another visual idea of what I mean! In this first one, the model's looking straight at us, so we can understand how the triangle looks *before* it is tilted. It becomes the most "equilateral" at this point. It's not really exact and I don't necessarily draw the triangles every time (however, it's helpful to do just starting out), it's more about what I *think* about whenever I see a face and how I break down the parts. Looking at some more heads with tilts... the triangle shows you how foreshortened one corner of the cheek becomes when someone tilts their head, and sort of serves as a guide for the placement of the eyes which looks most accurate. For the last one, I used yellow to demonstrate the "stair step" concept I was talking about! Obviously, the face has more subtly and "curve" to the cheekbones than this. That's where practicing the skull comes in handy, to understand how the cheekbones curve exactly, but this is a great way to visualize the face just to make sure everything's lined up properly. The exact triangle wouldn't look right in a finished drawing. Also, not all artists use this method or have to use it, I just found it to help me personally so I thought I'd share. 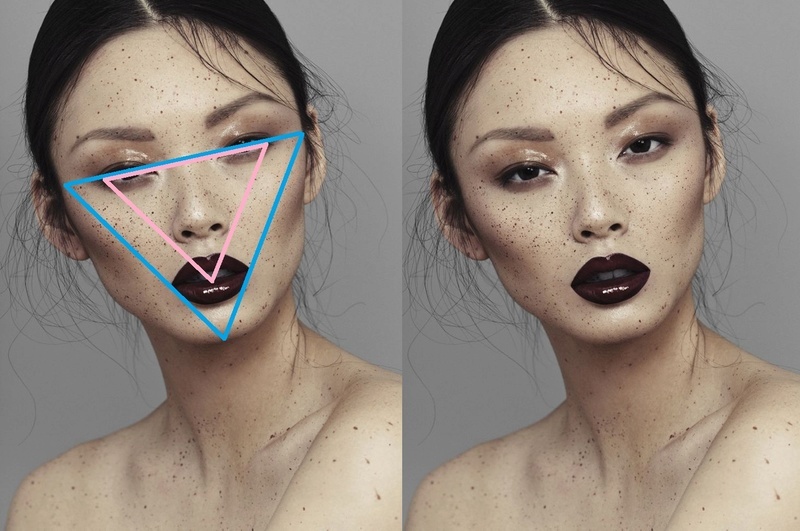 When I see people in my everyday life I like to visualize these triangles in my mind for fun, lol, especially if someone is wearing a lot of highlighter (like some of these models in the photos) because the form of the face becomes very obvious. Another thing that's helpful is to google "loomis head construction" and use those as guides for practicing/visualizing head construction! Ah thank you!! The examples are really nice and i think will help me figure it out better! I don't think I'll have enough time for now to do this one, but here's a really simple video by Proko illustrating the process: https://youtu.be/1EPNYWeEf1U ! This was the basic video my art teacher used to introduce us to this approach at first! It's a mess but i tried. I didn't really understand the triangle thing, i think I need to draw more skulls so that's what I'll be focusing on next. @deerdiadem I think it's a really good start! Other good stuff to know and remember tho: the eyes are positioned at the very center of the head, and the eyebrows line up with the top of the ears while the nose lines up with the bottom of the ears! Don't worry, I think maybe you aren't the only one confused. I don't think I explained it very well, or maybe there's a lot more about the face to learn first that I didn't include in this exercise. Following dqnte's link probably will help explain it better than I can. So for simplicity sake and to encourage more people to try this out lol ! Don't worry about the triangle/cheekbone thing, just try to draw a realistic face.